In the show this time, we talk to Leon Koopmans about EoR studies with the 21cm line and gravitational lensing, Ben Stappers tells us about the MeerTRAP project in this month's JodBite, and your astronomy questions are answered by Guillaume Voisin in Ask an Astronomer. 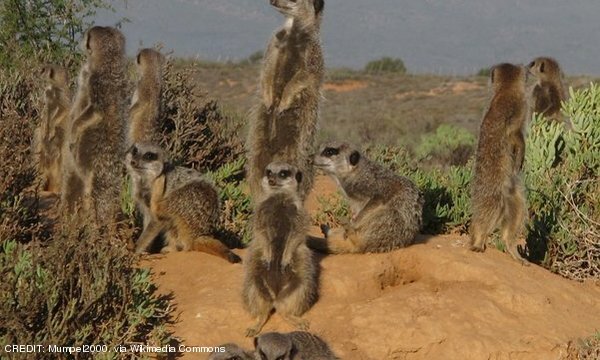 Since his last appearance on the Jodcast, Prof. Ben Stappers has formed the MeerTRAP (More Transients And Pulsars) consortium at JBCA, which intends to use commensal data from the MeerKAT radio array and MeerLICHT optical telescope to find time-variable objects in the night sky. We discuss the group's targets such as fast radio bursts, and their work on preparing the infrastructure needed to analyse radio data in real time. We also touch on how to inaugurate a telescope, the importance of prototypes and Ben's favourite pulsar. Prof. Leon Koopmans (University of Groningen, the Netherlands) talks to us about his work in detecting the 21cm Hydrogen line in Epoch of Reionisation (EoR) experiments. In addition, we discuss his work in strong gravitational lensing, plus how the fields he's worked in are changing over time. Piran Montford asks: "I've been south of the equator recently, and I noticed that meteors seemed to move more slowly there than when viewed from the UK. In the countryside I see "shooting stars" which move incredibly quickly, but down near the equator, I saw "falling stars" which seemed to move much more slowly as they came down towards the horizon. Why is this? Is it the difference in viewing angle, darker skies, or something else?" Denis Avery asks: "If a photon of light has no mass (hence it can travel at the speed of light), why is it attracted to a black hole? I know gravity can bend light but is it a different matter with disappearing over the event horizon and into the black hole's massive gravity?" RC Davison asks: "Typically when we see an illustration of a binary system, such as a white dwarf and larger companion star, we see matter being drawn from the companion star in a tightly constrained tube. I can't see how the physics of this would work to maintain a stable structure as is commonly depicted. I think that the white dwarf would be living in a dusty disk gradually accreting matter. Can you provide some insight to what the proper system would look like?" The Doctor Who team has returned to film at Jodrell Bank once more, this time to reshoot some scenes for the DVD release of Tom Baker's last story as the Doctor. Nearly 40 years after its broadcast, the BBC are releasing the DVD edition of series 18 of Doctor Who. The series was Tom Baker's final stint as the titular character, which saw him fall from the Lovell telescope to his death regeneration in the finale, Logopolis. In the original broadcast the crew were not able to use the real dish and instead relied on a scale model to produce the special effects - now however, with the aid of green screen and footage of the real telescope, the BBC are reshooting the scenes as they were meant to be seen! The crew spent the morning at Jodrell capturing footage of the Lovell, and also conducted interviews with some of the original cast to form part of the DVD extras. As always, we love seeing Jodrell in the press, and we can't wait to see the finished product! NASA officially announced the death of the Mars rover Opportunity on the 13th of February after a period of 8 months without contact with the rover. Opportunity was launched during the summer of 2003 and landed on Mars in January 2004. With a planned lifetime of 90 days, the opportunity mission actually lasted nearly 14.5 years and the rover explored 45 km of the Martian surface. One of its most important discoveries is the confirmation of the existence of large bodies of water with neutral pH on the red planet around 3.5 to 4 billion years ago. That indicates the potential habitability of Mars when life first began on Earth. In May 2018, a dust storm happened on Mars which forced the rover to go into hibernation. As Opportunity takes its energy from sunlight, the batteries of the rover went down when thick layers of dust covered its solar panels. Contact was lost on the 10th of June 2018. NASA scientists continued to look for a signal from the rover and hoped that the Martian 'wind season' starting in November would sweep off the dust and enable Opportunity to recharge its batteries, but it never happened. On Saturday 16th Feb, one day after the anniversary of the 2013 Chelyabinsk Meteor incident, another asteroid was barrelling towards Earth with a speed of 32,112kph. NASA's asteroid trackers at the Jet Propulsion Laboratory (JPL) in California have narrowed the flyby down to around 6.35pm GMT (UTC). Its closet distance to Earth was 2.28 million km - at this distance, we can call it a Near Earth Object (NEO). According to the JPL, Asteroid CG5 measures somewhere in the range of 36ft to 78.7ft (11m to 24m) in diameter. By all standards, CG5 seems a pretty non-threatening space rock but similarly sized asteroids are known to have caused considerable damage in the past.